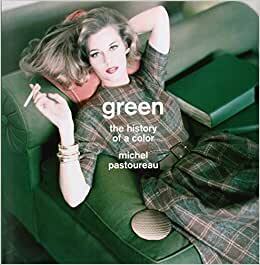 In this beautiful and richly illustrated book, the acclaimed author of Blue and Black presents a fascinating and revealing history of the color green in European societies from prehistoric times to today. Examining the evolving place of green in art, clothes, literature, religion, science, and everyday life, Michel Pastoureau traces how culture has profoundly changed the perception and meaning of the color over millennia--and how we misread cultural, social, and art history when we assume that colors have always signified what they do today.Filled with entertaining and enlightening anecdotes, Green shows that the color has been ambivalent: a symbol of life, luck, and hope, but also disorder, greed, poison, and the devil. Chemically unstable, green pigments were long difficult to produce and even harder to fix. Not surprisingly, the color has been associated with all that is changeable and fleeting: childhood, love, and money. Only in the Romantic period did green definitively become the color of nature. Pastoureau also explains why the color was connected with the Roman emperor Nero, how it became the color of Islam, why Goethe believed it was the color of the middle class, why some nineteenth-century scholars speculated that the ancient Greeks couldn't see green, and how the color was denigrated by Kandinsky and the Bauhaus. More broadly, Green demonstrates that the history of the color is, to a large degree, one of dramatic reversal: long absent, ignored, or rejected, green today has become a ubiquitous and soothing presence as the symbol of environmental causes and the mission to save the planet.With its striking design and compelling text, Green will delight anyone who is interested in history, culture, art, fashion, or media. "One of The Guardian's Best Books of 2014"
"One of TheAustralian.com's "In the Good Books" 2014"
"One of The Globe and Mail 75 Book Ideas for Christmas 2014"
5.0 out of 5 starsCan One Write an Entire Book About a Color, and Have it be Meaningful? Well, the short answer is "Yes," and this book is the proof of that fact. 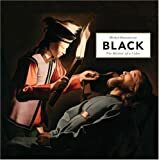 Trivial as though the title may sound, the book is the result of research of a French historical expert who has spent years studying art, philosophy, and the fine arts, particularly as these relate to color and design. The present work, "Green" is the third English translation of the original French series that started with "Blue" and "Black," and there can be little denying that the work packs a wallop. It's not just fascinating: its engrossing. 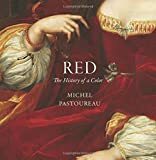 The book takes us from the fringes of pre-history and then into the Greek and Roman worlds to help establish how ancient cultures and civilizations viewed (no pun intended) the color. We then move into the medieval period, looking at the color's use in illuminated manuscripts, frescos, and painted sculpture. We continue to move forward in time, bringing the examination all the way to the present, describing and interpreting the color's reality across time. The narrative explores how the color has been differentially interpreted over these vast time periods (for example, why are all pharmacy crosses in France green? And why was green at one time associated with ill health, and others, with life and florid good health? ), and presents the development of the color over time. It actually might sound trivial at first glance, but it is truly a unique and thought-provoking work. It makes associations between art, history, philosophy, and more. It gives us new perspectives on something as simple as a color (or is it really as simple as it first sounds? ), and leaves us with what I can only describe as a truly unique and enjoyable examination of the subject. 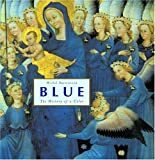 If you read "Green," you'll want "Blue" and "Black" (and "Red" and "Yellow" are to come), but, unfortunately, with the fame of these works spreading now that they are bring translated into English, the price of even used copies of "Blue" make them largely overpriced. (If you read French, however, the French versions of all these volumes can be picked up for nearly nothing at all.) As the works get press in such publications as The New York Review of Books, expect this situation to only get worse, unless the publisher decides on reprints. So, keep your eye's peeled for the new colors as they are released, and get them while you can. Finally, it must be said that this volume is beautifully printed, illustrated, and laid out in gorgeous, high resolution, deep color, glossy pages. The reproduced images do nothing but enhance the experience. It's a gorgeous volume, and really a reasonable price when you get it at it's normal release price. Five stars. 23 people found this helpful. Who would have thought that; green was once considered a dangerous color, that actors at one time never wore green for fear of misfortune, or that 19th century scientists dismissed the color as merely complementary? This books is comprehensive, thorough, and above all interesting. An entertaining read for color enthusiasts and the rest of us. This book is also great for my coaching work as the Color Reading Professor! Disappointing. Very well researched but dull and didn't really have the information I was looking for. Interesting book on my favorite color.